Derek Lam is an American company that specializes in womenswear, footwear, handbags, and much more. The designer of the same name has also been the creative director for company's like Tod's. This chic and fun style has brought a new look to the fashion world. With Big Apple Buddy’s personal shopping service, you can now buy direct from the Derek Lam online store anytime, anywhere. Looking for the perfect jacket for the rest of the season? The Derek Lam Military Jacket is a bold statement to complete your outfit. With front pockets that allow you to carry with you any essentials, this jacket is as practical as it is fashionable. You can combine it with just about everything! The Military Jacket is versatile for any occasion and can keep you cozy for those chillier days. 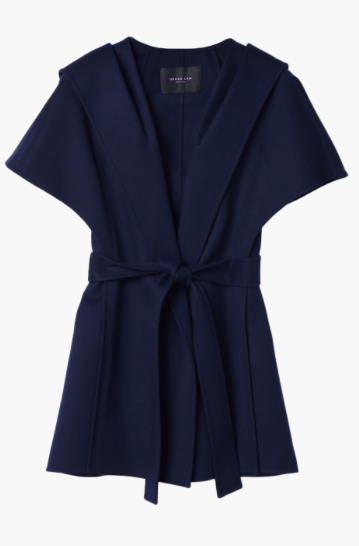 Combine the best of both worlds with the Hooded Short Sleeve Coat of the Derek Lam collection! It's a breathable but nevertheless cozy coat that can work for fall or spring season. You can combine it with anything you wear underneath, no matter the color or pattern. The tie belt at the middle adds a unique touch to the look and allows for a better fit, meanwhile the pockets keep it practical. 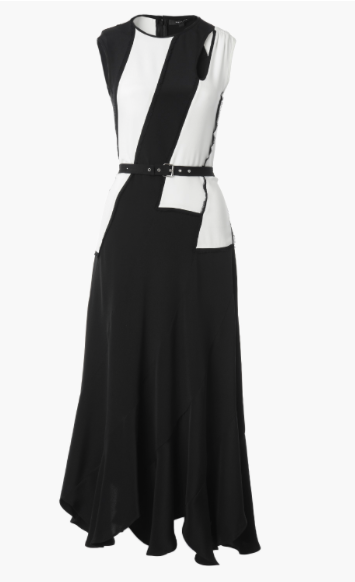 You can't go wrong with the Derek Lam Black-White Patchwork Belted Dress this season! It's a beautiful, elegant dress that flows effortlessly and works in any type of weather as well as occasion. The relaxed fit guarantees a comfortable wear so you can last all night without stopping the fun. The contrasting colors work perfectly as well as the patterns that make this dress a timeless look. Unfortunately, the USA Derek Lam online store does not currently offer international shipping. However, Big Apple Buddy, your personal shopper, can help you buy products direct from the official USA Derek Lam online store and ship them to your doorstep, no matter where you are in the world. We offer international shipping to over 110 countries including Australia, Austria, Azerbaijan, Bahrain, Belgium, British Virgin Islands, Brunei, Bulgaria, Canada, Chile, Costa Rica, Croatia, Czech Republic, Denmark, Estonia, Fiji, Finland, France, French Polynesia, Germany, Gibraltar, Greece, Greenland, Hong Kong, Hungary, Iceland, Indonesia, Ireland, Israel, Italy, Japan, Jordan, Kuwait, Latvia, Liechtenstein, Lithuania, Luxembourg, Macau, Malaysia, Maldives, Malta, Marshall Islands, Mauritius, Monaco, the Netherlands, Netherland Antilles, New Zealand, Norway, Oman, Poland, Qatar, Romania, San Marino, Saudi Arabia, Serbia and Montenegro, Seychelles, Singapore, Slovak Republic, Slovenia, Spain, South Africa, St. Lucia, Sweden, Switzerland, Taiwan, Thailand, the UAE, the UK, Vatican City, and Vietnam. If you would like to buy from the USA Derek Lam online store, simply let us know which items you would like to order (by filling out the form below) and we’ll get back to you with a free international shipping quote within 24 hours!